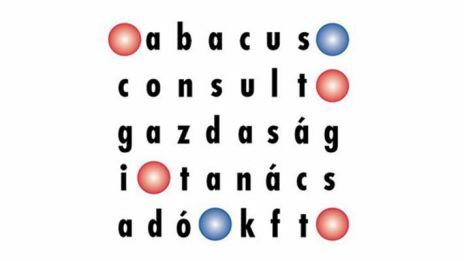 Abacus, the leading local industry professional in the Hungarian film sector, advised the Hungarian government to set up the existing Hungarian film tax incentive scheme. The company is an active advisor on behalf of the Ministry of Culture, National Film Office, Motion Picture Foundation and other Hungarian government related organizations on any motion picture related issues both domestic and international. Besides its consulting activity Abacus is the leading local service provider for both domestic pictures and international co-productions in production accounting and auditing. As a result of its significant market share and remarkable track record, Abacus is the exclusive cooperating partner of IFG in Hungary and the cooperating partner of a number of local commercial banks ( Allianz, OTP, Raifeisen and CIB ), which are active in prefinancing films. In recent years Abacus has developed relationships with a number of other industry professionals in the UK, Germany and USA. Tamás Csutak's relationship with the Hungarian film industry dates back to 1992, when he was a manager of Teleshop Ltd. which specialized in producing programmes for cable TV and terrestrial TV. Between 1994 and 2002 he worked as a CEO at the leading independent local pension fund and a large insurance brokering company. During that period Tamás kept his relationship alive with the entertainment sector by providing consultancy services for several production companies on financial matters. In 2002 Tamás re-entered the film industry as a majority owner and CEO of Abacus. Being heavily involved in the evolution of the new Hungarian film subsidy system, through his work for all film related governmental organizations like the Ministry of Culture, The Motion Picture Foundation, National Radio and Television Commission, etc. Tamás has earned unique experience in this area. In recent years, using the expertise he gained, Tamás, through Abacus, has focused on providing a full package of accounting and other administrative services for both local and international pictures shooting in Hungary. In 2008. Tamás was also a key member of the team advising the Hungarian government on obtaining EU approval for the revised Hungarian film subsidy scheme resulting in its successful extension until 2013.